Situated just off the N1's 14th Avenue off-ramp, adjacent to the MTN head office and at the foot of the Northcliff rocky outcrops, All Suite on 14th provides an excellent alternative for Johannesburg conferences and accommodation. Enjoy the four star quality one would expect at a city hotel, with the personalised touches synonymous with boutique establishments. 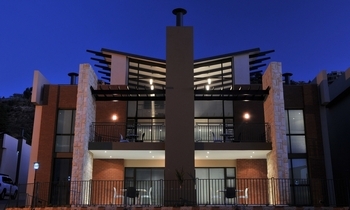 The spacious Fairlands accommodation, simple dining and beautifully manicured lawns along with attentive staff and hands on management, ensure an outstanding conference, function, dining experience or stay over.